Welcome back to the inaugural edition of SAM Book Club! Today we’re discussing Gioia Diliberto’s I Am Madame X, and the woman behind John Singer Sargent’s most infamous portrait. It probably comes as no surprise that Sargent’s 1884 portrait of Madame Virginie Gautreau caused, as they say, a stir. With a neckline that would be classified as a “deep plunge” even by today’s standards, Madame Gautreau’s 19th-century little black dress spoke clearly and unapologetically to the sitter’s sensuality. When you add her bluish-pale skin, the originally dangling shoulder strap, and—most scandalous of all—her wedding ring, you get a picture of a brash, vain, and sexual (married) woman living a century before her time. It was the claim over her own representation that so struck me in reading this passage, and which I returned to over and over throughout the book. Of all the many relationships Virginie has throughout the novel—with her family, with Sargent, with her ill-fated romances—it is the relationship with her physical self that the rest of the narrative hinges on. Her beauty is her calling card, profession, and meal ticket all wrapped up in one, and she cultivates it accordingly. True, much of this is imposed on her by external pressures, most notably her mother (let’s take a minute to remember that dear old mom made Virginie ingest poison to make her skin paler. Parents, amiright?). But ultimately Virginie’s self-determination to secure her status as Most Beautiful Woman in Paris drives much of the novel’s plot. The clothes must be flattering; the hair must be hennaed; and the skin must be near-deathly pale. Which makes Sargent’s removal of her name from this carefully constructed image—much less the public’s decrying it as ugly—such a twist of the knife. If her whole reputation, persona, even sense of self-empowerment, is tied to her physical appearance, what does it mean to take that identification away? At the end of the novel Virginie muses about how “everything was changed”, but what really struck me was how much seemed to be the same. The racial and social hierarchies of post-belle époque France and postbellum Louisiana are still very much in play. Virginie has a happy relationship with her daughter, but the girl’s “grand society” marriage to a successful man is still celebrated as a great achievement, exactly as Virginie’s own mother wished for her. And, in the estimation of the prologue’s narrator, “though her figure had become matronly, her finely lined face was still beautiful”—the ultimate “she looks great (for her age).” Everything has changed and everything is the same. Well, not quite everything: Virginie has reclaimed her representation. She is Madame X. 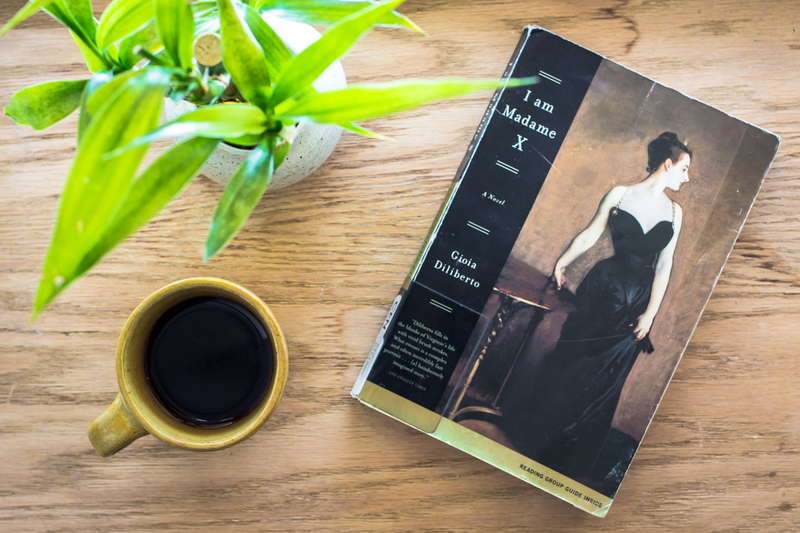 What did you think of I Am Madame X? Do you agree that her physical appearance was essential to her identity? Did you think she changed by the end of the novel? Share your thoughts in the comments below, and stay tuned for the announcement of next quarter’s book!